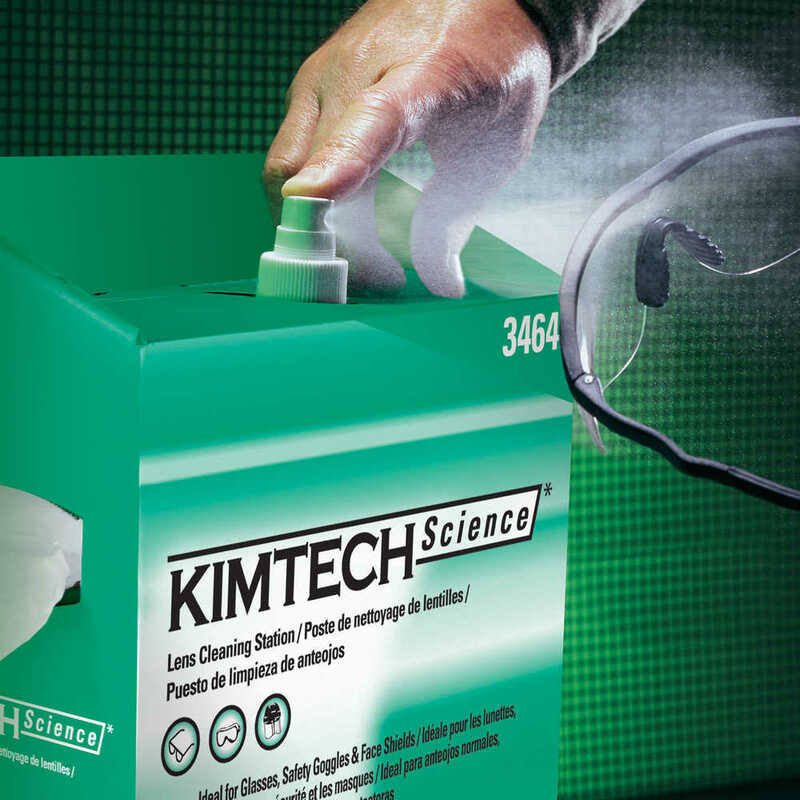 Kimtech Science Lens Cleaning Station offers you an all-in-one kit for cleaning safety glasses conveniently and efficiently. 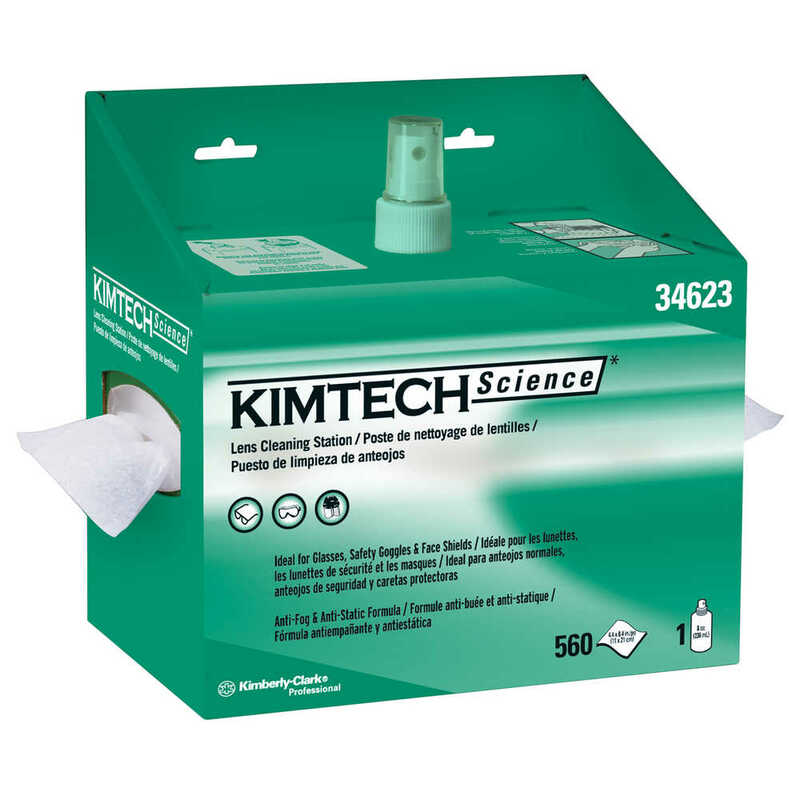 Each box includes dry Kimwipes delicate task 1-ply wipers and a spray bottle containing cleaning solution. The cleaning solution is anti-static, anti-fog, and silicone-free and the included Kimwipes delicate task wipers that won't scratch delicate surfaces when used wet. 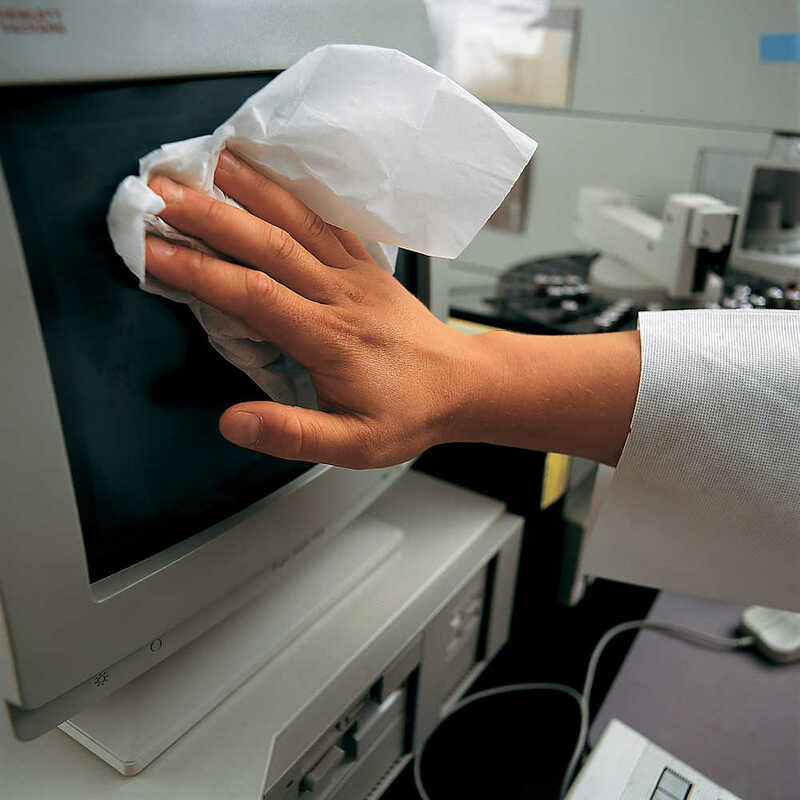 Note: an IPA-based lens cleaning solution can degrade anti-fog coated eyewear over time. Put-Up 4/560 & 8 fl. oz.